Here in the United States, it’s only a couple of weeks until it’s time to lose an hour of sleep and change our clocks forward one hour for daylight savings time. Along with this annual event, we are often encouraged to replace the batteries in our smoke detectors at the same time. Mostly I’ve ignored that rule, but I’ve changed my mind recently. No, I didn’t buy stock in Duracell or suddenly develop an awareness of public safety. It’s just that a smoke detector is something you never really plan to use, but are glad to have when you need it. Like this past weekend for instance… when my son and my daughter’s boyfriend were working on a project in the basement. They planned to melt wax and hot glue together to produce an easy to carve product for a costuming idea they are working on. Fearing they would make a mess in my kitchen, I suggested they use the spare oven that’s hooked up in the basement to use during the holidays or when we entertain. This is an old style oven (circa 1960) with knobs and dials and well-worn markings for the temperature settings. I mistakenly assumed they could figure out how to put it on the lowest setting to gently melt the wax. Instead, they just turned it on (to 400 degrees), loaded the pan of wax and glue onto the shelf and went off to do whatever 20+ year olds do these days, quickly forgetting to check the temperature or the state of the flammable petroleum products inside. Fortunately, we were all alerted to the forgotten project by a chorus of smoke detectors and by my daughters who had gone to to see what the boys were up to. What they found was a molten burning mess with flames actually licking out the front of the oven door and a basement full of smoke. After some effort by all those involved (plus my husband), they were able to smother the sticky napalm inferno without it spilling onto the dry timber on the floor nearby, and a major catastrophe was averted! Though our house was safe, this event was not without a casualty. 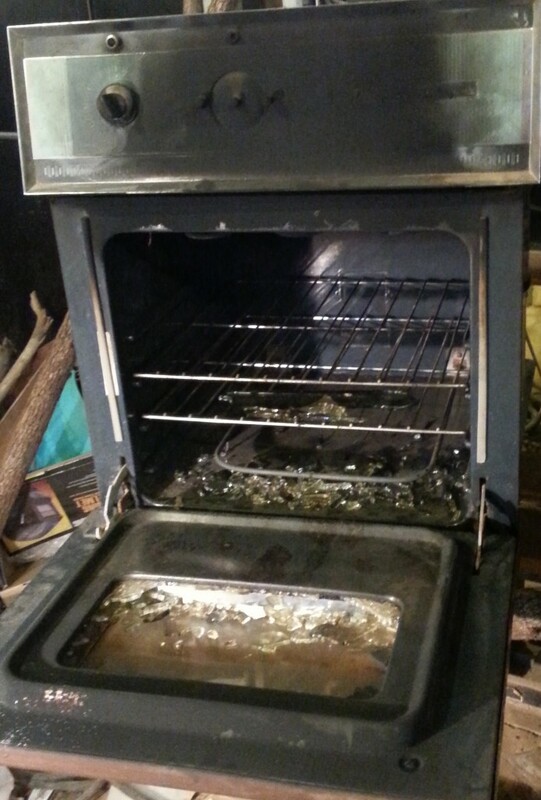 My oven was charred …inside and out… the glass for the door window shattered, and the inside permanently permeated with the residue of burnt wax and glue. 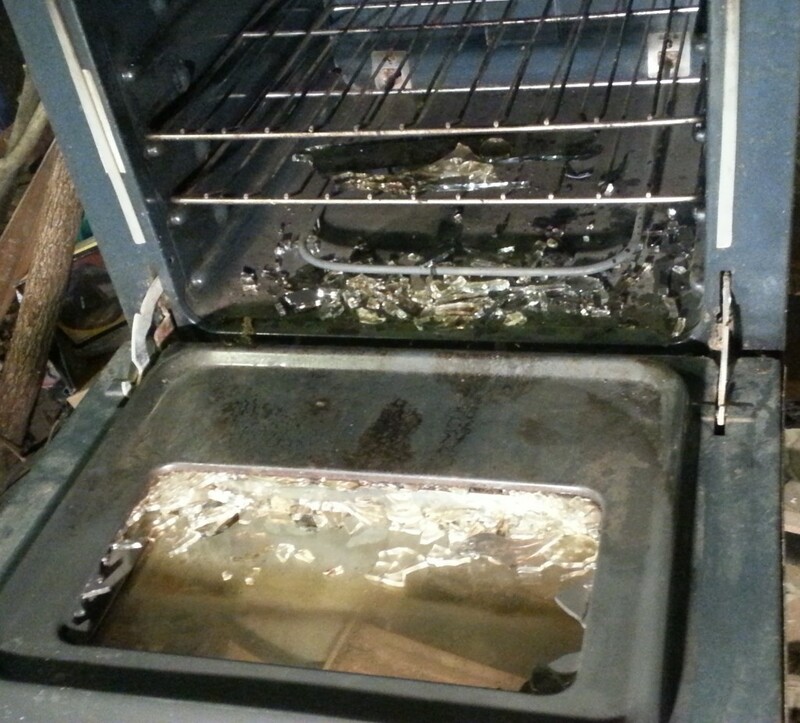 Of course, after the crisis was over, I received profuse apologies from both of the guys involved, but none of that really erased the fact that my oven was completely destroyed. I guess the lesson that can be learned from this do-it-yourself project is that sometimes inattentiveness, while not malicious, often does damage that can’t be repaired. So… why don’t you look up from what has your attention today, and check on what might be “burning in the oven” so that perhaps you can rescue it before it’s too late. Wow, what a great analogy. Yes, I have been convicted of this recently. Thank you for your insights on this. That is why the check-ins with God every day are so significant. He will impress upon our minds, the things in our lives that may be burning up. He does a great job of putting up the red flags. What a scary situation, Karen! Thank you for this reminder of paying closer attention. Thanks for sharing with Thankful Thursdays. Wow! What a great story and how blessed the Lord spared all of you from what could have been so much worse. It reminded me of something my husband did at home long before we met in college. He was working on a project in his basement and it required boiled linseed oil. He did not realize you could buy the product so he proceeded to use his mother’s hot plate and a large metal can to boil the linseed oil. As you might guess, soon things were boiling over and smoke was everywhere and fire starting. He managed to get everything handled, but it was a very close call. I guess young men start projects without an idea of what might happen sometimes. 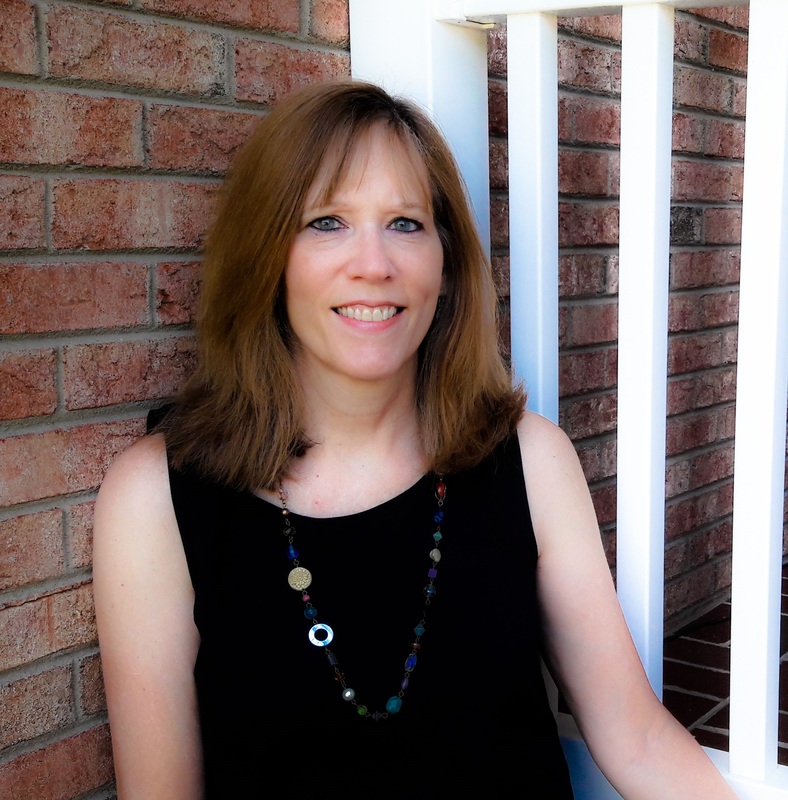 Happy to be your neighbor on the linkup at Suzie Eller #live free Thursday. Great reminder Karen. Our kids give us great ammunition for stories don’t they! Oh yeah! My kids know that the price of being in a family with a writer is that they are always in danger of becoming a spiritual object lesson! hahaha! Being alert and watchful – guarding our hearts – yes! I know the enemy can be so sneaky and try to steal and destroy what God is writing over our lives if we don’t watch for those warning signs – like discouragement, weariness, doubt. We have to be mindful and draw ever closer to Him and His truth. So sorry about your oven and so glad that nobody was hurt. Great message! Hebrews 2:1 “pay much closer attention to what we have heard, so that we do not drift away from it,” is an excellent reminder. This is why we need to be in God’s Word daily–so it becomes easier to obey. This is so timely as I was just talking about distractions. Have a blessed week and happy to be your neighbor at Women With Intention Wednesdays. Thought-provoking with a dose of reality. As always–great post, Karen. Thanks for sharing. Hopefully we can learn to listen to Him and not have to learn lessons the hard way by burning up things that really matter. Thanks for dropping in again, Steve! My goodness what a mess, but what a story. I’m so glad that God always has a lesson in every “mess” if we are willing to look for it and listen to what He has to say. Thanks for stopping by Debbie.